There's been plenty of news about how fruitful the 2011 Holiday shopping season was for retailers and how dramatic of an increase there was in online retail sales, but a recent report analyzing how satisfied holiday online shoppers were demonstrates why e-commerce is booming. 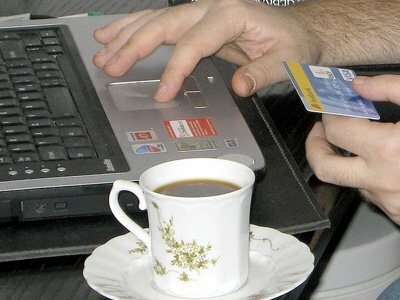 The ForeSee E-Retail Satisfaction Index, U.S. Holiday Edition, included the top 40 online retailers in the United States and found that shoppers who were highly satisfied with their purchase experience online were 64 percent more likely to return to the site, recommend it to their networks and establish a loyalty to the brand than those who had issues with their transactions. A compelling result was that just a one-point change in overall website satisfaction represented a 14 percent increase in sales revenues. Fifteen online retailers scored above an 80 on the Index, a score considered as the threshold for excellence. Leading the Index a second consecutive year with a score of 88 out of a 100-point scale was Amazon, followed by Avon, J.C. Penney, QVC and the Apple Store, all scoring an 83 in customer satisfaction. Traditional online retailer Dell also saw notable increases in customer satisfaction, up three points to an overall score of 80. Not surprisingly, the biggest drop was experienced by Netflix, which just last year tied with Amazon for the top spot, demonstrating the influence of consumer reaction to their increase in monthly membership fees. Hits, clicks and revenue reports are important metrics for online retailers, but having the ability to quantify the impact of a satisfied online shopper is paramount for a retailer’s overall business operation.